E-squared is the New York Times’ best selling book proving our intentions form our reality and we alone design our life. Author Pam Grout portrays a powerful, humorous and easy-to-understand presentation of quantum physics and an “FP” (field of potential) which she says works as reliably as a math principle shaping our lives. With two new Hay House books on the way, and a TV series set in an eco-village, Pam, living in Kansas with her daughter, is experiencing the life she wants to experience and trying to show us the way! Her first hit E-squared is now available in 34 languages. This book woke me up and made me laugh as it spoke directly to my life experience. It makes everything clear, showing the true cause and effect of our life. Pam explains it in a nutshell. “I think only about what I want to see, tuning in only to my intent, and expecting only good. Life is just a lot more fun this way,” she says. Even though we are all aware of “The Secret” and the power of thoughts we are still living our lives recycling old tapes and automatic behaviors we picked up before the age of five, before we had the intelligence to choose wisely. The Law of Attraction hasn’t worked for everyone because we still don’t truly believe that it is us alone, writing, selling and buying the story of our life based on our state of consciousness. The fact is there is no universe without a perceiver of that universe, and we choose in advance the life we experience. Setting an intention is like entering a destination in to your GPS and launching a rocket of desire. It is the most powerful force of energy we vibrate. When I think of her words, I become acutely aware of how each thought and emotion produces particles of energy forming itself in to the matter I experience. And her book further proves it through nine do it yourself experiments. So if it's that simple, why do I feel everyone is still living a life they wish were different? Pam says it’s because we ourselves make and label it hard, and because we are not really here in the moment when it actually happens. We also stalk negativity and prepare for it, which creates it, and she explains that we haven’t really practiced a new way of thinking which is similar to training a new muscle. The mind is also very powerful. It can actually create something outside of itself even more powerful such as doubt or disbelief. 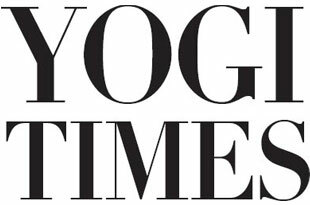 In speaking with Pam, she shared her thoughts and knowledge with us exclusively for the readers of Yogi Times. Ellen White for Yogi Times: What is the most important message to retain from E-2? Pam Grout: Why face reality when you can create reality? EW: How do we deflect the negativity surrounding us in the media? It seems people are really struggling today? The world is starting to wake up. People are finally realizing there's more going on than what they see and experience with their limited physical bodies. It is important to hold to a higher vision. Most of what’s going on outside is all based on judgment. In the same way, when we look at a painting up close all we see are dots, but in stepping back there is a bigger picture. I prefer to hold to a higher vision for myself and the world. And these kind of fun thoughts actually chemically change the body. EW: How is E-squared different from The Secret/Law of Attraction? Pam Grout: Some say it’s "The Secret" on Crack. It also offers nine experiments for readers to test and find for themselves if it's true they animate into their lives whatever they place their attention upon? It gives readers the opportunity to see it with their own two eyes. EW: Did you know this would be your life path? Pam Grout: I always knew I wanted to follow my heart, be creative and express myself. EW: How do you define success? Pam Grout: Success is having the freedom to do what I love and love what I do. My four goals are 1) peace of mind, 2) surety of purpose, 3) clear, unmistakable guidance and 4) unceasing joy. EW: What motivates you to get out of bed and keep going? Pam Grout: First thing I do is make this proclamation: Something amazingly awesome is going to happen to me today. That intention gets the momentum going. I also text three blessings from the day before to what I call my power posse. The more I look for blessings, the more blessings will appear. EW: What is the most important thing people need today to thrive in this world? 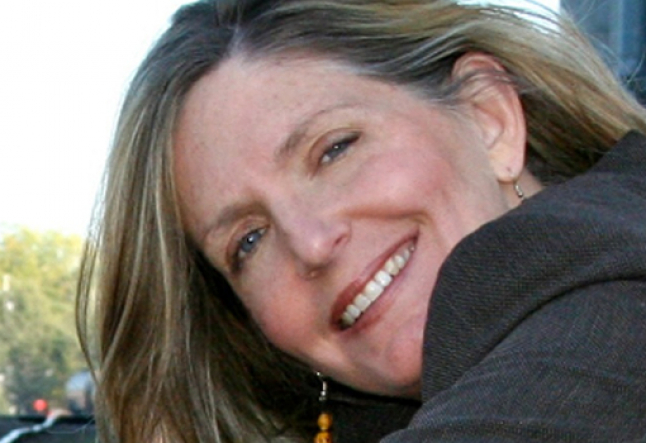 Pam Grout: Gratitude. When we come from an attitude of appreciation that's what we get: even more to appreciate. This way of thinking is like developing a new muscle that requires training. It gets easier. Most people do not know what they are intending. The now is the point of power. Tuning in to your intent is a moment by moment awareness. EW: Is there one area in your life that always feels like a struggle? Pam Grout: My life has very few struggles, mainly because I've chosen NOT to struggle. I prefer to view the world as a glorious gift where every day runs smooth and easy. And again, we all get to choose our own stories.